Greece is the birthplace of Western civilization, modern democracy, the Olympic Games, new ideas in science / art / philosophy and also the birthplace of Alexander the Great. About 2,500 years ago, the Greeks created a way of life that other people admired and copied. Now, Greece is falling apart. 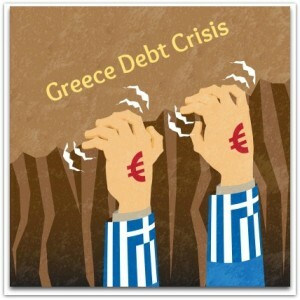 Greece’s economy is on the verge of financial collapse. The economy has shrunk by a quarter in five years, unemployment is above 25%, four in ten children are living in poverty, Greeks can’t withdraw their own money from Bank ATMs…. The state of affairs in Greece is pathetic. What are the reasons for Greek Economy collapse? What is happening in Greece? What is Greek Debt Crisis? How did Greece get into this unmanageable Debt situation? What caused the Greece’s Financial Crisis? What are the lessons from Greece’s Debt crisis? Example – Let us assume there is a company called ‘Asatya’. It has been informed that XYZ bank is offering Business Loans at low interest rates on certain terms & conditions. Asatya gets the loan by falsifying its Accounts (the company is actually not eligible to get the loan and do not meet the terms & conditions laid down by the bank). The company uses the loan amount on unproductive things (not related to its business). It continues to get the loans from XYZ bank year after year. One fine day, due to downturn in world economy, XYZ bank can’t afford to provide loans and hence stopped funding Asatya. The bank asks for repayment of loan along with the interest amount. Asatya finds it difficult to repay the debt. Asatya defaults and goes bankrupt. Like Asatya, Greece’s economy is facing a similar challenge. After the 2008 global financial crisis, the Greek government found it very difficult to get the new loans. The funds started to dry up. The public debt increased to unmanageable proportions. In 2010, Greece’s credit rating (the assessment of its ability to repay its debts) has been downgraded to the lowest in the euro zone. Another reason for the Greek’s economic crisis is ‘Tax evasion’. A 2012 study comparing Greek bank account data with government tax data found that the true income of the average Greek person was about 92 percent higher than the income they reported to the government. Tax evasion accounted for half of Greece’s 2008 deficit and a third of its 2009 deficit. So, Greece’s budget management was bad and its tax evasion is a chronic problem. Another major reason for Greek’s financial crisis is ‘Single currency – The Euro’. If Greece was not part of the Eurozone (EU), it could have printed the currency notes (Drachma, the country’s pre-euro currency) and allowed its currency to depreciate, inflation to raise, make the exports competitive, try to revive the economy by creating demand and jobs…similar to the way the USA did after the 2008 global financial crisis. But the Greek Govt cannot do so, as they are part of EU. (The wider lesson is that the single currency experiment has been a general disaster and done nothing to help EU nations in the global race for markets. From an economic standpoint, however, the euro has worked to the advantage of the rich and powerful nations, such as Germany, but to the detriment of poorer nations like Greece. The poor economic performance of the southern European nations drags down the value of the euro. That is great for a country exporting BMWs and Mercedes Benz cars to China. Greece’s social and political set up also needs to be blamed for the crisis. Greece has a very low productivity rate (though it has one of the longest working hours as a country). It has a very inefficient government. Corruption is very high. Greeks retire earlier compared to other countries. Too many people depend on the workforce to feed them, and there are too few people who work. To put in a nutshell, the reasons for Greek’s political, social and financial turmoil are.. The Greek crisis is a COMPETITIVENESS crisis disguised as a FISCAL crisis and now being expressed as a GOVERNANCE crisis. On 30th June 2015, Greece failed to make a scheduled debt repayment of about 1.5 Billon euros ($1.7 Billion) to the IMF. Greeks now face a choice (Referendum on 5th July 2015) – either stick with the bailout offered by troika (IMF-ECB-EC ) and endure the pain of austerity (or) reject the terms of the bailout which may lead to default and possibly, leaving the Euro zone entirely. Latest News on Greece’s Referendum : Greece says ‘NO’ to bailout. Greek voters reject bailout offer. Thank you so much shreekanth sir. Your article cleared my confusion about greece crisis. A very clear, simplified document that explain the key areas. Thank you!! i am doing a project on Greece. the Greece went above my head . but this article made me understand the crisis. thanks a lottttttttttttttttttttttttttttt. Excellent article.. You just put it insimple words..
Could you please tell me, what would be the impact of this crisis on our MF market? Will it effect equity and debt funds?? I was waiting to know about the Greece crisis, but couldn’t find the perfect link like this article to start with . Superb explanation and good comprehension. Nice article…Simple and sober and very informative…. Very good way of explanation that anyone can understand at the first glance. Keep going :-). Super!!! Thank you dear Bala. Keep visiting! All articles are very beautiful . Any one can understand them very easily. Most informative and useful in our daily life. Such a rich and top class information . Its wonderful . Fantastic article written in layman terms! only two words….simply superb …..in understanding……. Excellent article Sreekanth. Really nicely written. 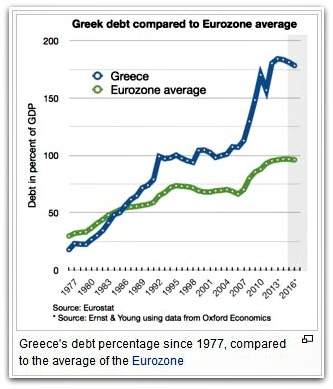 Greece Financial & Debt Crisis could not have been said in simpler terms. Good job! Super blog 🙂 I always follow your articles. Keep up the good work Sreekanth.